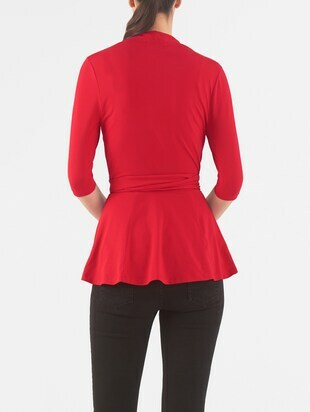 Look trendy wearing this top from I WEAR MY STYLE and get this awesome collection in red colour. Get this top in beautiful prints to flaunt for various occasions. Lay your hands on this wonderful collection of tops in regular types to look your best in S size. Opt for this top made up of cotton jersey material and get it in a v neck neck design. Bring home attractive tops priced at ₹1738 and also avail 42% discount.